The District Court of Guam and the Guam Bar Association are pleased to present a CLE Presentation on Monday, July 2, 2018, from 9:00 a.m. to 12:00 p.m. at the Guam Museum, 193 Chalan Santo Papa, Juan Pablo Dos, Hagatna. The Honorable Gustavo A. Gelpi is currently the Chief Judge of the United States District Court in Puerto Rico. He was appointed to the federal bench by President George W. Bush in 2006. Previously, he served as a U.S. Magistrate Judge and as a Solicitor General for the Commonwealth of Puerto Rico. 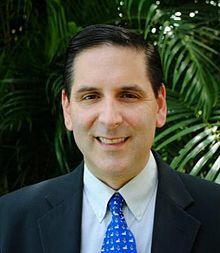 Both as a judge and attorney, he has authored opinions and argued cases involving matters pertaining to the constitutional relationship of Puerto Rico with the United States. Judge Gelpi is the author of various articles about the historical and legal status of U.S. Territories, and recently published a book about the subject, The Constitutional Evolution of Puerto Rico and Other U.S. Territories 1898-Present. He has also offered a law school course about the U.S. Territories at the University of Puerto Rico, Interamerican University of Puerto Rico, Pontifical Catholic University, and the University of Hawai'i. Judge Gelpi was born in San Juan, Puerto Rico, and is a graduate of Brandeis University and Suffolk University Law School. More information and updates regarding the upcoming CLE Presentation will be provided through this website and the website of the Guam Bar Association (http://guambar.org/).